Whilst we make every effort to ensure that the information on this site is accurate and complete, some of the information is supplied to us by third parties and we are not able to check the accuracy or completeness of that information. We do not accept any liability arising from any inaccuracy or omission in any of the information on our web site or any liability in respect of information on our web site supplied by you, any other site user or any other person. Galerie Lisa Kandlhofer provides links to you only as a convenience, and the inclusion of any link does not imply endorsement Galerie Lisa Kandlhofer or the site. Galerie Lisa Kandlhofer cannot and has not reviewed all pages of the sites linked to this site and therefore cannot be liable for their content. Users link to other sites at their own risk and use such sites according to the terms and conditions of use of such sites. No part of this website may be copied or imitated in whole or in part. 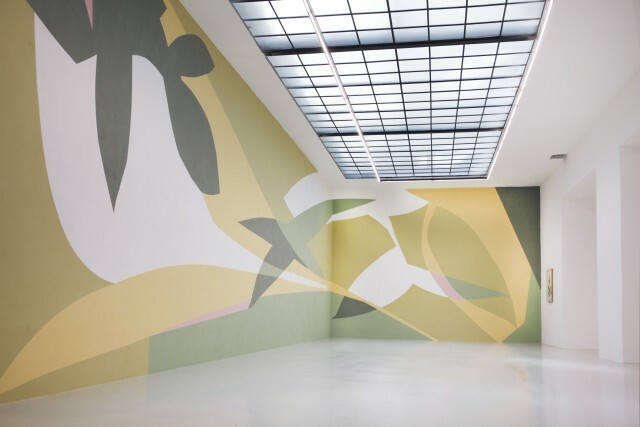 No logo, graphic, sound or image from this website may be copied or re-transmitted unless expressly permitted in writing by Galerie Lisa Kandlhofer. The trademarks and logos used and displayed on this website are registered and unregistered trademarks of Galerie Lisa Kandlhofer and others. They may not be used in any advertising or other publicity materials in relation to the distribution of any information or materials obtained from this site without the prior written consent of the trademark owner.